Term insurance covers are more common among insurance buyers compared to other plans mainly because they come with a cheap price tag. With the advent of the Internet, life insurance companies have started offering online term plans, which can be bought easily without even visiting the branch office. Shriram Life Insurance is one of the companies that offer different types of term plans for its customers. These plans are easy to buy and the cost of these plans can be calculated simply by using the premium calculators available on the official website of the company. When it comes to term insurance plans, there is no one-size-fits-all solution for everyone. The cost of a term insurance plan is likely to vary based on one’s age, income, gender, smoking habits, location, medical history, etc. Insurance companies take all these factors into consideration when they provide a price quote to a person. Hence, it is very difficult for insurers to calculate the price manually for every single inquiry. The premium calculators available on the website of the insurer solve this issue by providing a price quote instantly. Based on the details entered by the customer, the calculator comes up with a premium price through a unique algorithm. On the homepage, click on the ‘calculator’ link located on the right-hand side of the page. On the ‘online premium quote’ page, choose the policy for which you want to get the premium quote. On the resulting page, enter your age, gender, sum assured amount, policy term, and premium payment term to know the premium charges instantly. For other plans not listed here, click on the menu labelled ‘premium calculator’. Here, choose the plan for which you want to know the price and enter your personal details like date of birth, policy term, smoking habits, sum assured amount, to know the premium charges. You may also choose the available rider covers if you wish to enhance the coverage available. Once you have calculated the premium charges, you can go ahead and purchase the plan if you wish. As noted earlier, the cost of term insurance varies from one individual to another based on his/her personal details. Companies may not be able to respond to all the inquiries made by potential customers. Premium calculators simplify this task and help customers get the price instantly. Premium calculators are very effective when customers compare multiple policies at the same time. 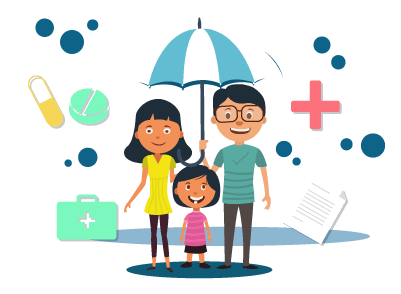 Based on the premium details provided, customers can weigh-in the pros and cons of various term insurance covers and pick the best policy suitable for them. One of the major advantages of a premium-calculator is the simplicity associated with it. Customers can get the price of various plans instantly without having to wait for a response from the insurer. This will help them speed-up their purchase decision. The features and benefits offered by a term plan vary from one insurer to another. Customers often look forward to getting as much coverage as possible within their budget. Premium calculators help them understand the cost of various products and enable them to choose the right product. The premium calculator offered by Shriram Life helps customers understand its products better and get the maximum out of a term insurance cover.